Ska and 2 Tone fashion borrowed heavily from both 1920s gangster and 1960s mod styles. For a full-on look, you would need items such as a Harrington jacket, drainpipe trousers or jeans which are cut short to show off gleaming white socks, with Dr. Marten boots or Brogues/loafers for your feet. 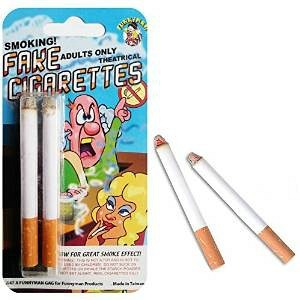 However, these would make for a very expensive costume. 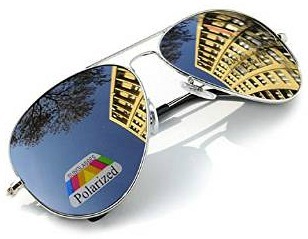 Instead, you could simply add a tipped polo shirt and replica Wayfarer style shades. 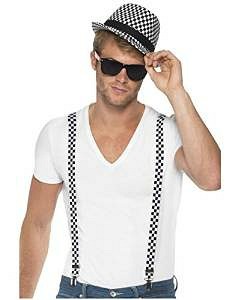 Braces (known as suspenders in the US) worn over a polo shirt give an authentic, mod-influenced fashion look. 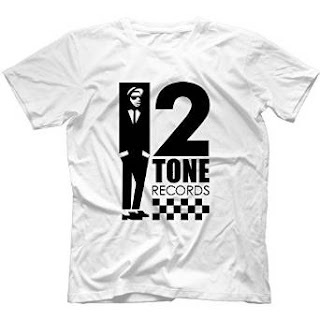 There are plenty of 2 Tone/Ska themed T-shirts at Amazon, more particularly the UK store. However, if you're on a tight budget then you can opt for a plain T-shirt. You will also find an excellent range of unique T-shirt designs at Redbubble who ship worldwide. 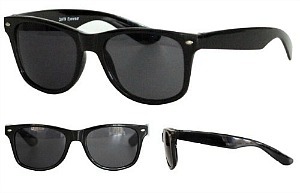 Wayfarer replicas can be bought for just a few pounds or dollars. 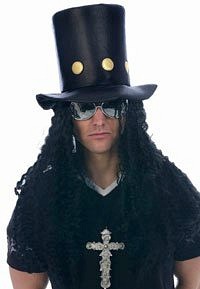 If you've ever dreamed of becoming the 80s guitar hero, Slash from Guns N' Roses, and you have £6 to spare then now's your chance! This top hat with attached wig is a fun idea. Wear with a rock style T-shirt (plain black will suffice) and you're ready to party! 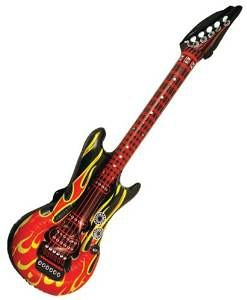 For a fuller look add some dark or mirrored aviator shades and an inflatable electric guitar. If you're as old as I am, then you may remember George Michael and Andrew Ridgeley wearing those now iconic, Katharine Hamnett "Choose Life" T-shirts on Top Of The Pops. 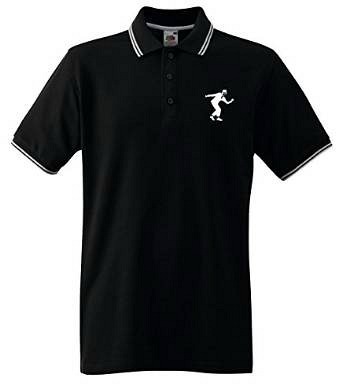 These T-shirts are still a popular seller through our T-shirt and clothing pages at simplyeighties.com, and are available at very low prices. The shirt needs to be over-sized for an authentic 80s look, so you may want to order a size larger than normal and be sure to roll the sleeves. 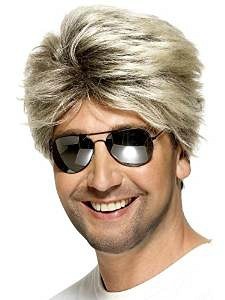 George Michael wigs are hard to find in the U.S., but you could create a very simple and amusing costume using an 80s tee and a mullet wig. For a complete look add some white cotton trousers/pants and roll up the leg bottoms. 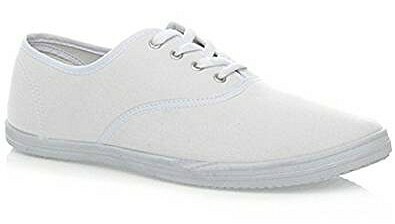 Add some cheap white pumps to finish off your outfit. Alternatively, you can buy a ready-made costume, however, it will cost you considerably more than buying separate items and the footwear is not included. 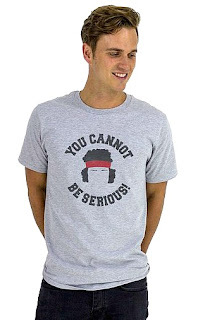 You cannot be serious! Well, I am being serious and you can dress-up like the loud-mouthed tennis legend very easily with a wig, polo shirt and short shorts. If you already own a plain, white polo shirt then that will be ideal, but you can always buy one pretty cheaply. Shorts were very short in the 80s and many featured a classic V cut out (interlock) in the sides. 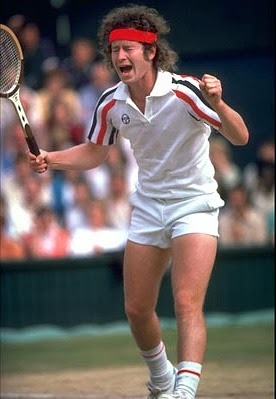 However, McEnroe simply wore plain, white shorts at Wimbledon, as you can see in the photo below. 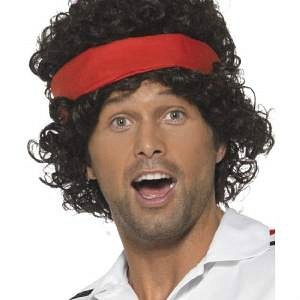 For a John McEnroe costume, you should be able to get away with a plain, white polo shirt and basic shorts, as the wig with headband is really the only component that shouts out John McEnroe. I'm pretty sure there aren't that many people who can remember the exact shirt he wore at Wimbledon, and those that do need to get a life! It is the big hair and headband that people remember the most, as well as his tantrums, of course! As a polo shirt with the blue and red detailing has proved impossible to find, an alternative would be to wear a Tee displaying McEnroe's infamous catchphrase from his 80s tennis days. A plain Fruit Of The Loom Polo Shirt costs £4.53 to £8.99 depending on the size. Short shorts are pretty difficult to obtain these days, but your best option is to search for racer, running or rugby shorts. If you already own a pair of longer style shorts then you can always roll them up your legs to make them look more eighties. The lowest-priced shorts I could find in the UK were these Optimum Auckland Rugby shorts which cost between £7.99 and £11.99 depending on which size you choose. 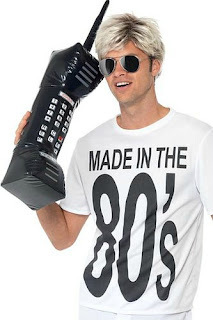 You can create a fun 80s look by using a giant, inflatable mobile phone as the centerpiece. 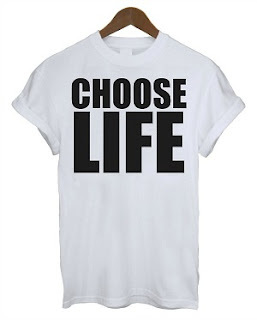 Add a "Choose Life" T-shirt (which is the cheapest of all the 80s T-shirt designs) and you have a decent look for little more than a tenner. You can, of course, also add a funny wig and maybe some aviator or wayfarer style shades for a more complete costume - see the George Michael costume above. This alternative Wham lyrics T-shirt is also available in the U.S.
You can read more about 80s fashion at our website simplyeighties.com.